Hosted by Tom Weekes and Nickelle Weekes, the My Boutique Business podcast will provide you with great ideas, tangible advice, and hopefully some inspiration. Each week Tom and Nickelle discuss in their unique way, topics from business, raising a family, and marriage, by exploring the links that will help guide, shape and transform these areas of your life. Whether you desire to build a strong family, marriage, or business, this podcast will get you to think deeper, laugh, and maybe even tear up. Subscribe and join us on this adventure! Tom and Nickelle have such a wonderful dynamic and are so fun to listen to. It feels like you’re sitting down and talking friends you’ve known forever. They come from a place of gratitude and haven’t forgotten what it’s like to be just starting out. They have so much to offer. I have already learned so much about business and family life from the first couple episodes and I can’t wait to learn more as they come out! Rank #1: 4: How Important is Vision? In this episode, Tom and Nickelle discuss how expectations can cause frustration and discouragement in your business and family life. They provide tips on how to minimize the effects of expectations and/or to avoid the expectation trap all together. Rank #4: 1: Unseen Bugs in Your Business. Even the best laid plans have unseen bugs. In this week's episode we discuss what to due when these bugs pop up in your business or life. 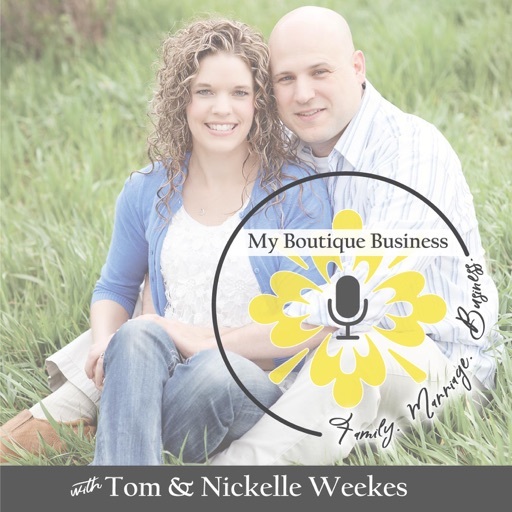 Additionally, you are introduced to Tom and Nickelle and their "Why" for starting the My Boutique Business Podcast. © 2019 OwlTail All rights reserved. OwlTail only owns the podcast episode rankings. Copyright of underlying podcast content is owned by the publisher, not OwlTail. Audio is streamed directly from Tom & Nickelle Weekes servers. Downloads goes directly to publisher.